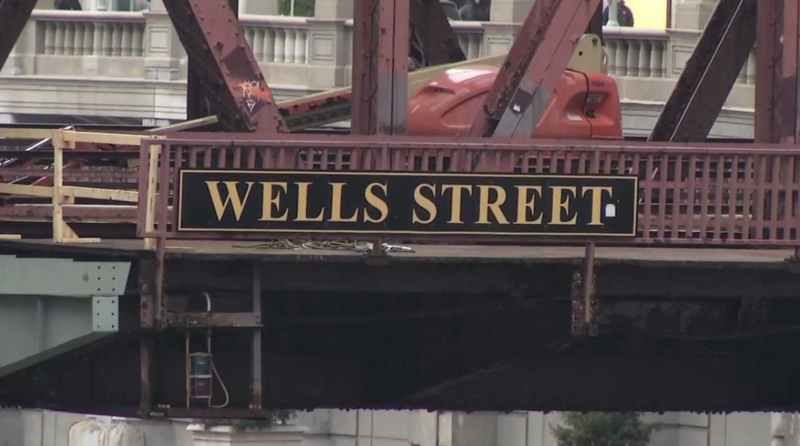 When it comes to historical icons, none have made a more profound impact on Chicago than its bridges. This innovative city pioneered multiple types of bridges, which helped improve transportation throughout America. 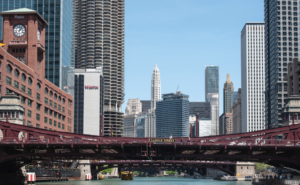 The Chicago River system commands a 156-mile stretch that directly impacts trade for the entire country. 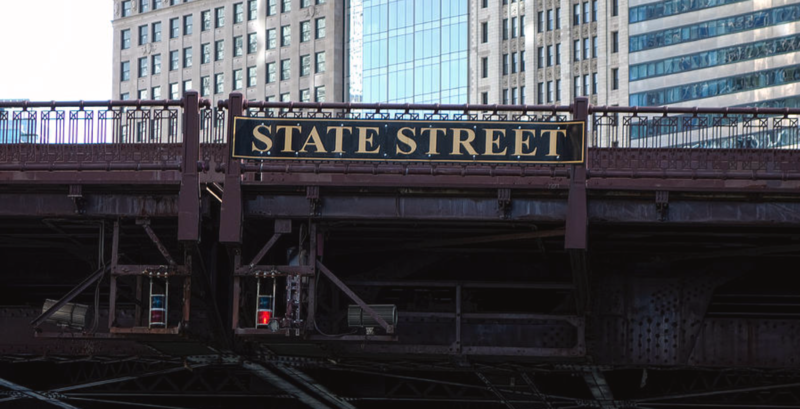 There are over 180 bridges in Cook County alone, and Chicago boasts more moveable bridges than any other city in the world. 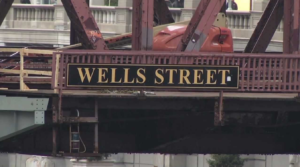 This massive amount of bridges was a key factor in Chicago becoming an economic powerhouse. Through a series of natural disasters and innovations, Chicago set the standard with the introduction of multiple types of bridges. 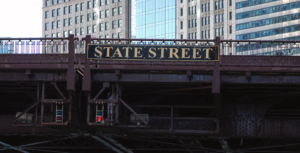 In 1832, the first bridge was built across the Chicago River at Kinzie Street. Despite being rickety and only supporting foot-traffic, this wooden bridge sparked a revolution. 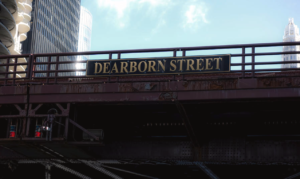 Two years later, engineers installed the first drawbridge that could accommodate vehicles on Dearborn Street. The disastrous effects of the Flood of 1849 brought about the introduction of the first swing bridge in 1856. From there Chicago experimented with jack-knife, vertical lift, and the Scherzer rolling lift bridges before settling on the right prototype. Out of all the bridge types in Chicago, none are more iconic than bascule drawbridges. Boasting a complex system of gears and counterweights, these bridges lift two leaves up from the center of the river. America’s first Trunnion Bascule bridge was installed at Cortland Street in 1902. From there different variations of bascule bridges were installed throughout the city. On top of making history with their bridges, Chicago is filled with them. Out of the 43 movable bridges in the city, 20 are located downtown. This has caused a tourism boom that employs 52,000 boat tours every season. Out of all the ways to explore Chicago’s unique selection of bridges, none are more luxurious than our private yacht. 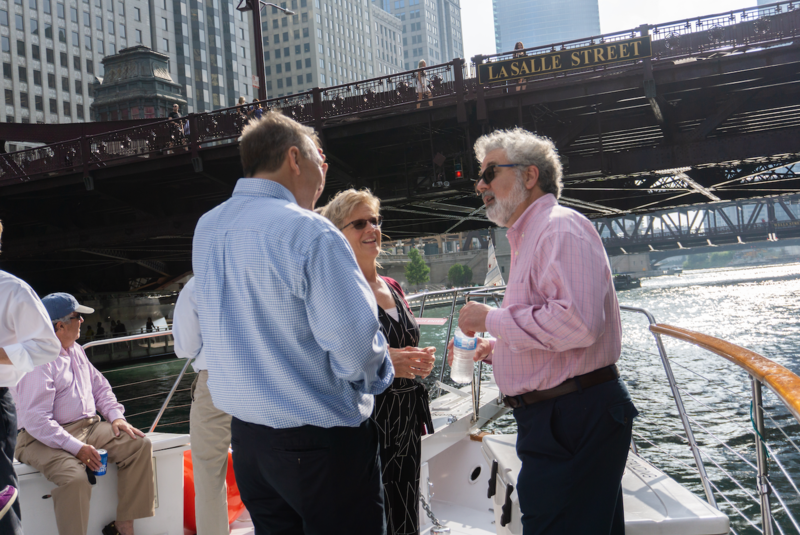 From talented docents to exquisite catering options, Adeline’s Sea Moose makes Chicago River charters an experience. 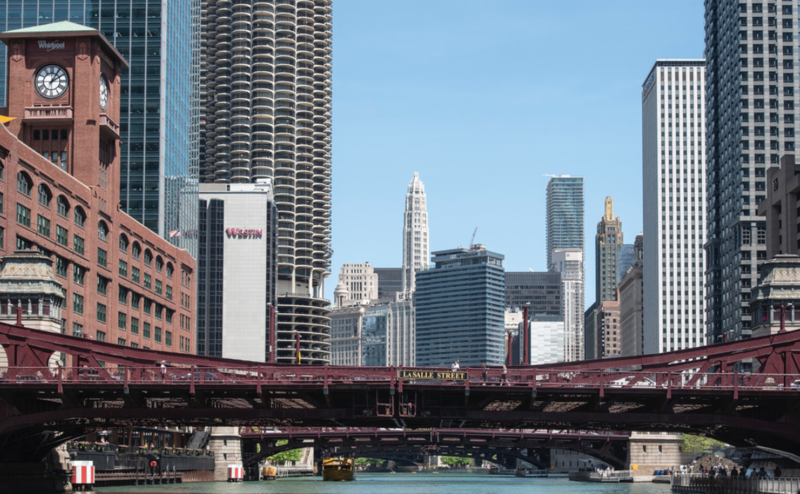 There’s no better way to complement Chicago’s rich history than with one of our posh charters. To highlight what visitors can expect, we compiled a list of the most noteworthy bridges in Chicago. All these sights are included in our charter, so prepare to get a generous dose of history in a luxurious setting! 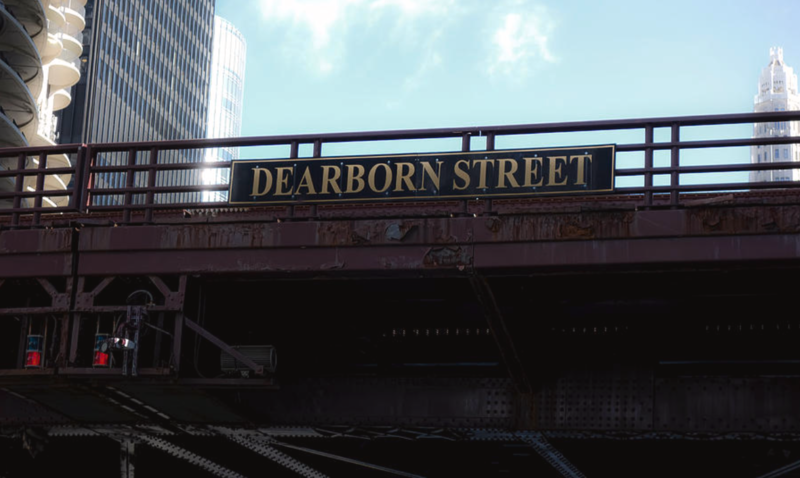 Even though the original Dearborn Street bridge was the first moveable bridge in Chicago, what stands today was constructed in 1963. Boasting an intricate mixture of built-up beams and v-lacing, this design highlights the innovations of multiple eras. Chicago came full circle with bascule bridges, since the first moveable bridge that was torn down was a bascule variation. Explore the details of this ironic transition on our charter! This impressively wide bridge came to fruition after WWII. Thanks to the steel shortage during the war, its construction lasted from 1942 to 1949. Despite taking 7 years to complete, it was well-worth the wait. Boasting eight lanes of traffic, this bridge features multiple novelties. 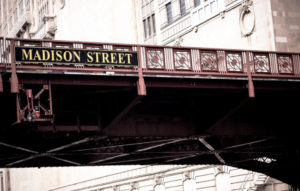 On top of having a railing height truss design, it’s one of the last bridges in Chicago to have aesthetic enhancements on its tender houses. This bridge will be celebrating its 70thanniversary this year, so don’t miss it! Despite starting from humble beginnings, the Lyric Opera Bridge’s final design ended up setting the standard for 40 years. 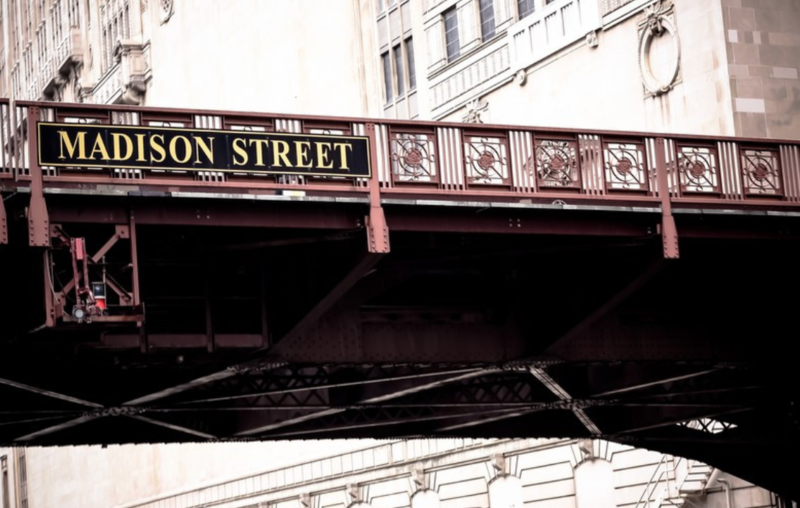 What started as a wooden bridge in 1849 eventually evolved into the city’s first railing-height truss. By using half pony truss and half deck truss, this design increased clearance under the bridge. Due to its modern look and many advantages, this became Chicago’s new bridge model for over four decades. This bridge’s impact echoed throughout the city, since it revolutionized how engineers designed bridges. When this double leaf bascule was built, it sparked a surprising amount of controversy. Chicago city engineer Alexander Murdoch ended up losing his job when he refused to withdraw support of patented Strauss bridge components in 1923. The city of Chicago had just lost a patent suit against the Strauss Bascule Bridge Company, so they fired Murdoch and opted for non patented parts. This proved to be a wise decision, because it allowed the bridge to continue standing to this day. This bridge was part of a bold plan to widen La Salle street in 1902. Costing $2.5 million, it was eventually built by the Strobel Steel Construction Company in 1928. In 1999, it was renamed to honor former Chicago Department of Public Works Commissioner Marshall Suloway. This name change didn’t affect the profound impact that this 242-foot long bridge had on access between The Loop and the Near North Side. 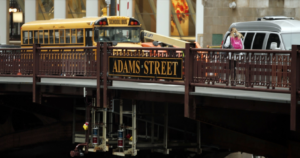 Located in the heart of downtown Chicago, this double deck bascule bridge unites the Near North Side with The Loop. It was constructed during the first term of William “Big Bill” Thompson in 1922. He ended up serving three terms, and was the last Republican mayor in Chicago’s history. Despite being rebuilt in 2012 and 2013, this bridge embodies Thompson’s legacy. Enjoy this epic mixture of historic value and modern design!